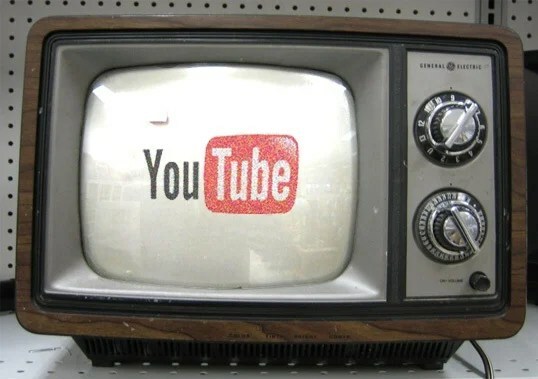 Youtube: Paid subscriptions and the end of plain old TVs? Youtube, a site whose content varies from cat videos to educational how-to clips, will now be charging for subscriptions to some of the most exclusive channels it hosts . This is in light of the current popularity of online streaming streaming sites such as HuluPlus and Projectfreetv. I mean, as a college student, I might have a shared television set in my suite’s common area, but when I think about how much it’s actually used for watching TV shows, it’s kind of useless. My suitemates and I use our TV as an external display for our laptops. I know others who use their Xboxes to stream Netflix. Even Netflix has added its own series of straight-to-online shows such as “House of Cards,” to join the growing trend toward instant web content. It seems to be a very different world for programming these days. Gone are the days when you had to be home at exactly 8 p.m. each night to catch your favorite shows in prime-time. Now that users can access so much of that same content online, they don’t need their tv sets as much. But when you can see your favorite shows and videos online, where does the revenue come from? Enter Youtube subscriptions which allow creators of content from exclusive youtube channels of live networks like National Geographic to expand thier audience online, at a small price. Only time will tell if this well end up being better or worse for content creators, who could benefit or suffer from the fees to be put in place. The Startup Guys, complete with smart-phones and energy drinks. This parody isn’t too far from the truth. Generation Y ( 18-29 -year-olds), or as they’ve come to be called, “20-somethings,” are growing up and driving the internet economy. As such, it isn’t too uncommon to hear about a youth fresh out of college joining or even starting a brand-new social media or technology company. In fact, there are so many startups these days, it’s hard to keep up. Some immediately gain popularity, like Facebook and Pintrest but, all too often, others die down as quickly as it takes for a user to close out their browser. It’s easy to make fun of these 20-somethings who have made a name for themselves through websites that range from Kloff, the app for pet-lovers to Triggermail, a personalized email site for e-commerce. But the truth is, with all their fancy offices and user-friendly interfaces, they are a major part of the media business. Dreams that their grandparents would never have imagined having at all are now possible. In that sense, generation Y is proof positive that if given the chance, young people can create just about anything. I first saw this story on Gawker, and I thought I’d share it with you all. 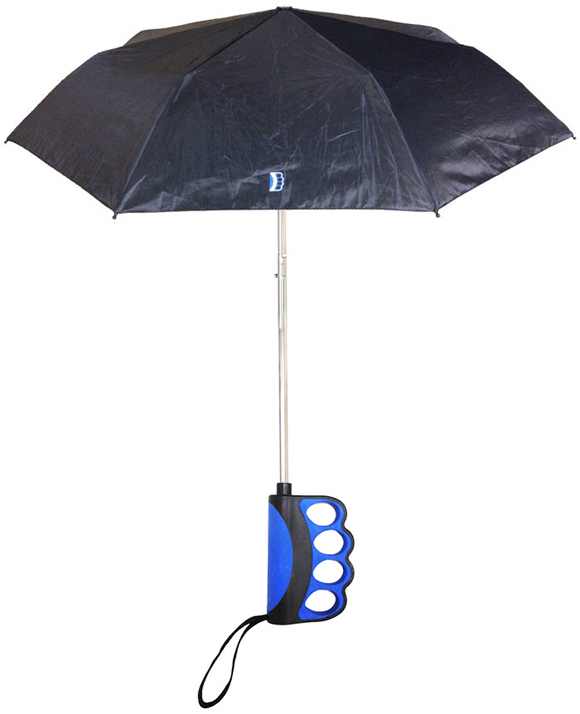 “Brolly,” once an englishism used to describe an umbrella, is now the name of a “text-friendly” umbrella designed to allow users to stay dry and still freely use their phones. The promo for the new gadget is a parody of what is now deemed a classic “first world problem” : Not being able to text…in the rain. As a New Yorker, I’ve had this problem, and have been the victim of many a joke by my friends who offer no assistance and instead watch with wide grins as I fumble with my umbrella and phone at the same time. I would often find myself thinking, “the struggle is real,” as the umbrella falls to the ground and I get covered in rain anyway. But of course, the best part is when I walk into/bump into a stranger who is most assuredly having the worst of days, and swears me into a stupor. Business, I’m sure, will be “a boomin” for the company as this is a common problem. However, I’m not sure this solves the issue of inattention while in motion. Maybe people will bump into each other more often and be more polite to each other as a result? Perhaps we will come up with a way for us to look where we are going while still browsing our phones… but that’s just a pipe dream, and dangerously Terminator-like. LinkedIn recently celebrated its 10th birthday last Sunday. LinkedIn, sometimes referred to as “the Facebook of networking,” allows people to network with those they have worked with before, or those they would like to work with in the future. It also allows users to build an online resume, easily accessible to potential recruiters. There is also a premium account offered. Users can pay for a different facet of LinkedIn: Business, for business professionals, Talent for recruiters, JobSeeker for the unemployed (or the curious employed), andSales for sales professionals. There are over 200 million LinkedIn users worldwide. In July 2011, LinkedIn launched a new feature to the website: posting job openings directly on their website, and allowing users to apply from LinkedIn, linking their LinkedIn resume to their application. -Back in 2010, a report was released that found that 50% of Fortune 500 Companies use LinkedIn. -LinkedIn gets almost six times the number of job views than Twitter, and almost 12 times that of Facebook. LinkedIn also gets more than 8 times the job applications than Facebook, and 3 times more than Twitter. –Roughly half of LinkedIn users have anywhere from 0 to 500 1st degree connections, but the average LinkedIn recruiter has around 616, and 28% of LinkedIn recruiters have over a thousand connections! -Of recruiters who use social networks to find potential employees, 48% use only LinkedIn, but only 1% solely use Facebook or Twitter. 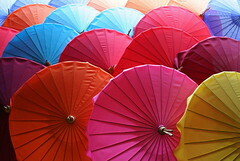 -Potential growth is also a factor in networking. To double one’s network on Twitter, it takes only 2.7 months, or roughly 81 days.For LinkedIn, 7.6 months. For Facebook, a whopping 33.9 months (or just under three years). – Traditionally, the most successful job postings and hirings seem to be sales. As of August 2011, there were about 6.1 million active members on LinkedIn who identified as working in sales. Academics, administrators, engineers, and IT specialists trail in the 4 to 5 million range. -LinkedIn does have a number of immediately obvious advantages over Facebook and Twitter; namely, no teenage-angst, there’s little spam (as users are trying to create a likable persona), no vague relationship statuses, no birthdays to remember, changes to the user interface are fluid and appealing, but, most importantly, no Pokes. -It also would appear to lend itself very well to the newest generation of job hunters: us. Having grown up with social networking as much a part of our lives as the duck and cover method was to the Baby Boomers. Sure, for every suave, future New Yorker columnist, there are half a dozen duck-facers, but growing up with “the game” from AOL Instant Messenger to Google Plus, but we seem to have a distinct advantage over the previous generation. As we mature, we learn how to conduct ourselves in the “real world,” but we also draw upon what we have learned. Students are all attention. Not an ebook in sight. Students “diligently” taking notes during a lecture course. The second image looks familiar doesn’t it? As a college student, I know this picture far too well. It’s a 300-person class. 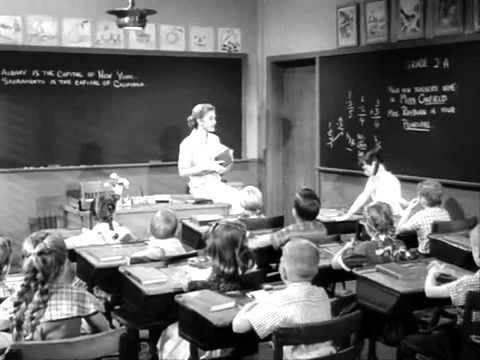 Lectures are posted on Blackboard. Attendance isn’t taken. The logic is, you can afford to tune out, minimize a mostly blank word doc, and log into Facebook. But here’s the thing. The student pictured above might actually be doing homework. On Facebook. Being “social-media savvy” is becoming increasingly valuable to businesses trying to expand their clientbases. As a result, colleges across the country are beginning to recognize that incorporating this marketable skill in a degree might be the ‘biggest thing since sliced-bread’. Tune in at 4p.m. Wednesday for an much-anticipated discussion on Online Learning. Besides the fact that I really wanted to share this fantastic image(taken 2 feet away from the singer as she belted out one of my favorite songs), I also wanted to point out a few interesting things about this concert experience with our listeners and readers here at The Media Review. You see, I haven’t been to a concert in a while. I saw Passion Pit at Binghamton University’s “Spring Fling Festival” two semesters ago, but that was way before I was actually interested in social media. As you may have read, I’ve had my own issues with Twitter and its 140 character updates in the past. However, by Tuesday night, I was finally the proud owner of an android phone and with it, came the apps that I had mocked my friends for. What am I going to post? What is worth making a status about? Is that thought witty enough to post? Do I tweet at the artist? Is that a thing people do at concerts? Is that professional ( given the context)? How many people will like collectively “like” this picture if I post it to Twitter, Instagram, Facebook and Tumblr? Which one is the best for each idea/comment/image? Should I post on all social media forums? Is that going to annoy people? Maybe it’s because I’m a little new to this, but those are a lot of questions to be wrestling with at a concert. I mean, what about the music? Was I really listening? Or was it a matter of how much I wanted to share about my listening experience? Is this what it’s like to go to a concert in 2013? I realized about halfway through that I needed to get it together and put the phone away. So I did… after I posted eight pictures to Instagram, four status updates on Facebook, two blog posts to Tumblr and three tweets/twitpics to Twitter. Maybe I got carried away. Or maybe I did my duty as a “citizen journalist”. Either way, I know I am not the only one. In recent years, we’ve started to become programmed to record things at the click of a button. Strange, isn’t it? I wonder if this will change the way musicians present their work. It’s not hard to imagine a future in which managers direct artists to say something “tweetable.” Or maybe the lighting guy will be switching it up to work with Instagram’s filter effects. Who knows what this will do to our brains? Not to freak anyone out, but doesn’t it scare you a little that you now feel the need to share everything you do with people you may not know? I mean if I went around actually shouting my status updates to people in the street… well, that would be really odd now wouldn’t it? People from overseas can now see that Kate Nash was right in front of me. Awesome. People who couldn’t go to the concert can find someone’s bad quality recording on Youtube. Cool. People who read this article will know more about my inner battle with social media and its effect on my life than others. Maybe. And they will also talk about it. And maybe it’ll start a conversation.